Keeping up the posting about Burton – here´s a collab with Robert Crumb. This design is a part of the Private Stock project. 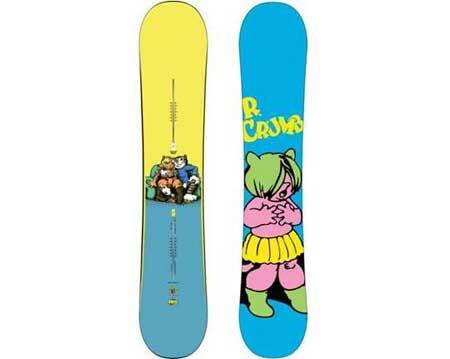 Burton has hooked up with once cult hero (but now more mainstream) Crumb for this Fritz the Cat Twin V Rocker board. Apparently this board is very limited. So if you live in the US you should try to get you hands on this as soon as possible.